It’s almost that time of year again with school holidays just around the corner, and we have a jam packed holiday program for young people aged 12 to 18 years! 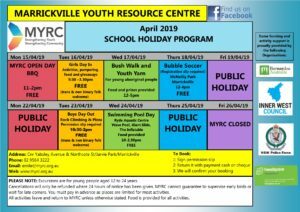 These holiday activities include the MYRC open day, Girls day in, Bush walk and yarn, Bubble soccer, Boys day out (rock climbing and pizza) and Swimming day at Ryde Aquatic Centre. 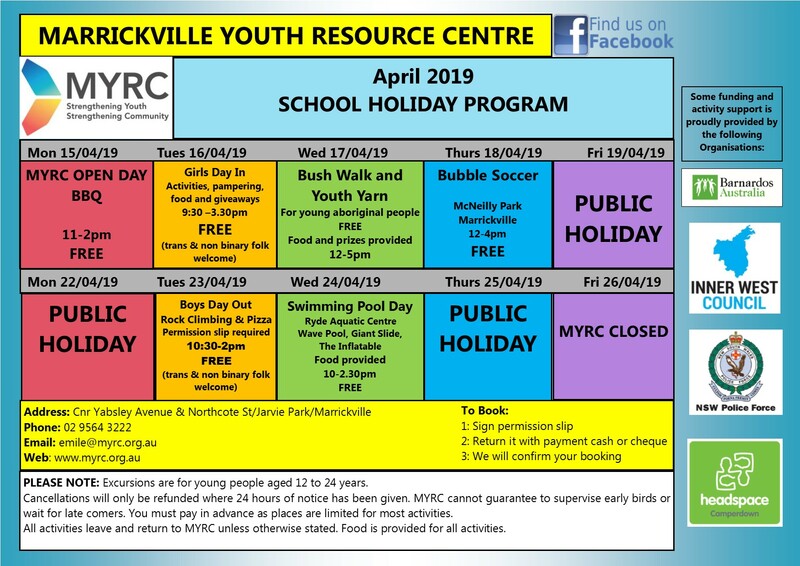 Priority is given to young people living or going to school in Marrickville, and those from disadvantaged families. We may also be able to also support families with payments, please call us to discuss. We still have vacancies in all activities but they are very limited, so get in quick!